People of Central Asia have rich cultural heritage with deep historical roots! The company "Silk Road Adventures" is the best tour operator in Central Asia which has 29 years of working experience in organization of various tours. 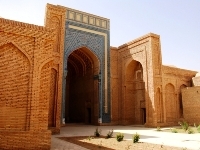 We have helped thousands of people to discover historical and architectural monuments of Central Asia and fall in love with its unique nature. There are many unique natural landscapes on huge spaces of this extensive region such as Caspian sea, Plateau Ustyurt, the world’s only underground mosques on peninsula of Mangyshlak and paleontologic plateaus Aktolagay and Akkergeshen. Ancient civilizations of Samarkand, Shakhrisabz, Bukhara, Khiva have formed the Great Silk Way which is the link of times and traditions, it gives people an ability to move forward together. Gold Fergana valley, Roof of the World - mountains of Pamir, magnificent lake Song-Kol at enourmous height, there are Khan-Tengri and Pobeda peaks in Central Tien-Shan mountains, there are peaks Somoni and Lenin in Pamir mountains. The are number of caves on plateau Kugitang. There is a marvelous burning gas crater Darvaza in Karakum desert. 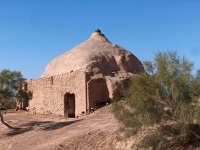 The ancient settlement Margush, architectural monuments of ancient Merv and Kunya-Urgench which are also located on Silk Way. Unique tourist regions of the Central Asia. Gold tours in Central Asia. Hunting with a golden eagle. Kokpar of national game in Kazakhstan. Across Central Asia. 50 days. 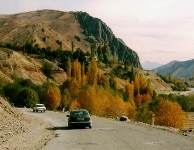 Tour on Karalpakstan in Uzbekistan. Restaurants and night clubs in Almaty. Services of guides and translators in Kazakhstan. Automobile check points of motor vehicles to Kazakhstan. Visa-support and registration in Kazakhstan. Visiting of boundary and military zones in Kazakhstan. 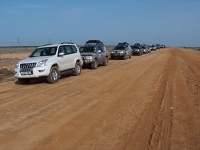 Driving, Car Travel, Accommodation and taxis in Kazakhstan. Tour over Pamir in Kyrgyzstan. 13 days and 12 nights. 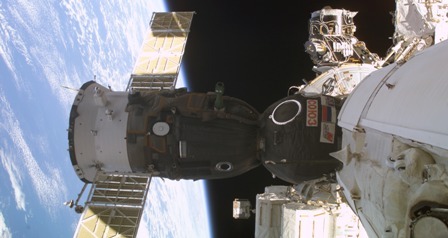 Start spacecraft Union from Baikonur. 2018. 14 days and 13 nights. 21 days and 20 nights. Jeep tour across Central Asia. 50 days and 49 nights. Carpets tour in Turkmenistan. 2018. 22 days and 21 nights. 12 days and 11 nights.